The CNA salary in North Dakota is higher than the U.S average and can range depending on where in the state you are employed and at what type of health care center. Becoming a certified nursing assistant or CNA will provide you with an entry level job in to the medical field and is frequently a pathway to a nursing career. You work alongside doctors an under the general supervision of registered nurses, a CNA provides assistance to patients and attends to their overall care and well being. A certified nursing assistant is a vital part of a healthcare team and can find employment in a variety of health care settings. Jobs for CNAs are found in clinics, hospitals, and even personal homes. They are also in demand in healthcare facilities that service the elderly such as nursing homes, assisted living facilities and adult day care centers. Day to day a CNA is tasked with attending to patients needs and providing basic care. They monitor vital information regarding the condition of patients as well as helping them with their mobility and comfort. An entry level certified nursing assistant can earn a good salary and the position is rewarding for those who have a desire to help others. 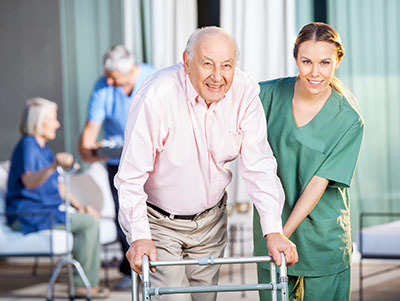 Often times, a CNA is the person on a healthcare team who has daily contact with the patients. This makes you the best person to observe changes in the patient’s condition. Reporting on the patient’s condition to the nurses and doctors will allow them to make changes to the treatment plan for each person to improve their well-being. If you want to be in the healthcare industry, like taking care of others, and want to bring home a good salary, then becoming a CNA might be the right career path for you. In the United States, the average CNA is paid around $12.02 an hour or around $23,726 annually. In the state of North Dakota, the salary of a CNA is a bit higher than the national average. According to Indeed.com, a CNA in North Dakota can earn an average of $14.33 an hour or $28,716 a year. As North Dakota has a large rural population, there is some effort being made to get CNAs to work out of the major cities. Many health care companies in North Dakota are now offering benefits in an effort to get more skilled and experienced CNAs to work in remote areas. Because of the high demand for CNAs in remote areas, you could be in a position to negotiate for higher wages if you accept a rural posting. The number of CNA positions in the state is expected to grow in the coming ten years, mostly because the elderly population in the state has been constantly increasing. This means more openings in nursing homes, as well as more demand for CNAs to provide long term care services and work in Alzheimer’s units. The demand for CNAs is also expected to cause a rise in their pay. Most facilities employing CNAs in North Dakota also offer benefits such as paid leaves and sick days. If continuing education is important to you, look for an employer that allows for paid training for their employees. Many employers of CNA’s in North Dakota will pay for training in exchange for work during a specific time period. This period can range for six months to two years. Visit this page to find the nursing assistant classes in ND that are nearest you as well as the schools requirements to become enrolled. Programs in North Dakota are mandated by the state to provide hands on skills training as well a clinical study course. Together the programs take about 75 hours of training to complete.